Huntingdon Hall is Worcestershire’s premier live music and comedy venue, staging an eclectic programme of live music, comedy and spoken word events. 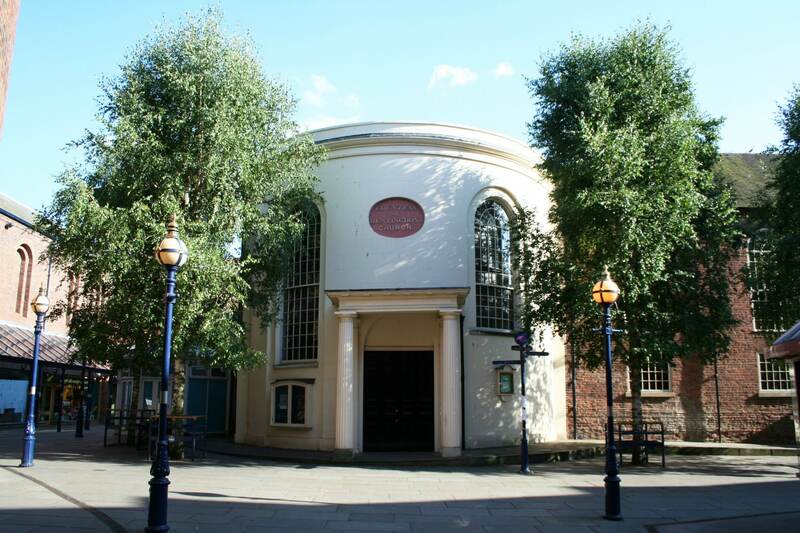 Countess of Huntingdon’s Chapel was a thriving Methodist church in the early 18th Century. By 1970 the building had closed as a chapel, remaining closed until the late 1970s when it was purchased by the City Council with the view of redeveloping the site. With financial support from the City and County Councils, Huntingdon Hall re-opened in 1987 as a concert venue. Over 30 years later, Huntingdon Hall has become a leading venue for comedy and live music, staging an eclectic mix of genres, including folk, jazz, blues, world, rock, pop and R&B, as well as classical music, spoken word events, and some really world-class comedy. The Hall is also home to the Astaria String Quartet (Quartet in Residence) and the world renowned ESO (English Symphony Orchestra), the Hall’s Orchestra in Residence. All in all, Huntingdon Hall is a unique and quirky venue, with bags of character and fantastic entertainment on offer!